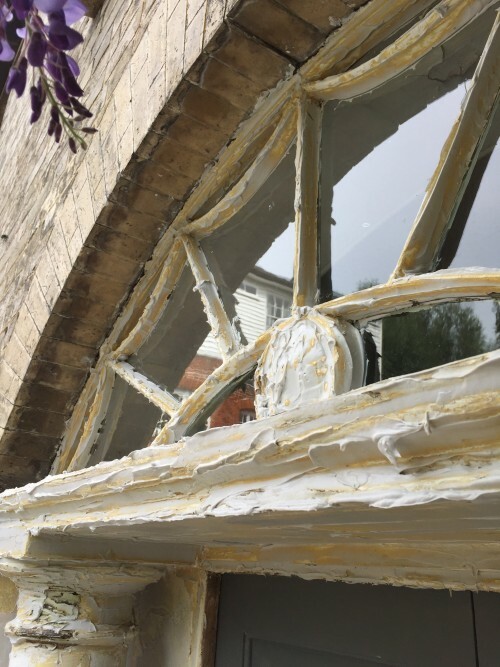 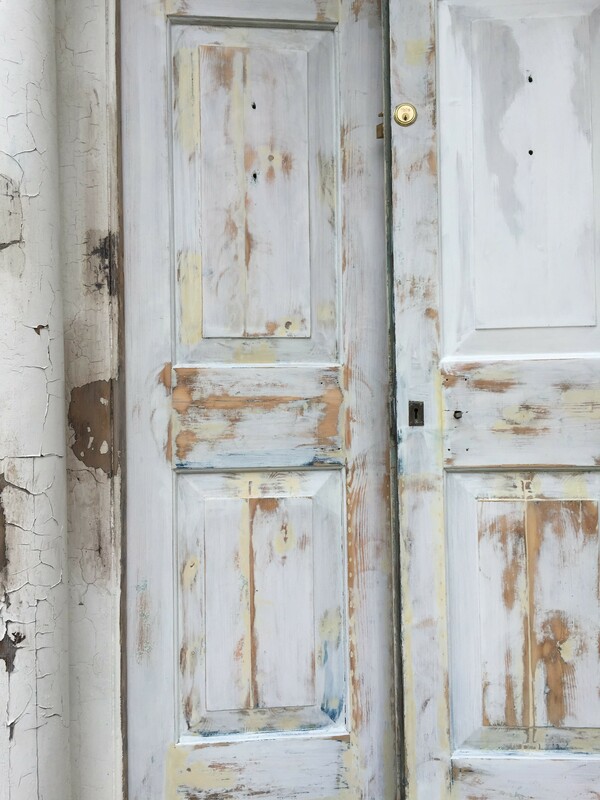 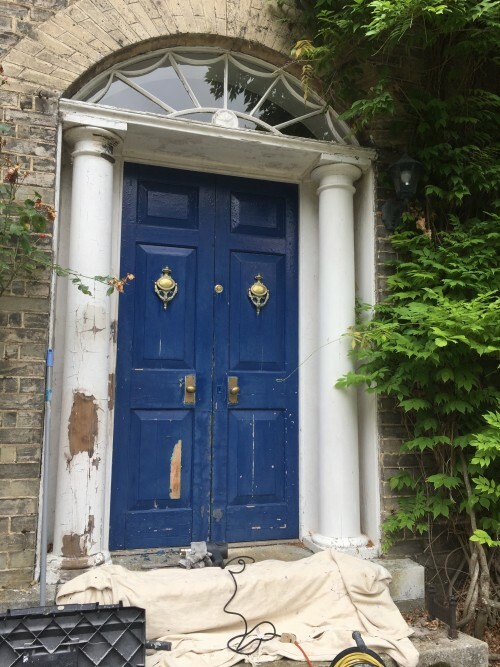 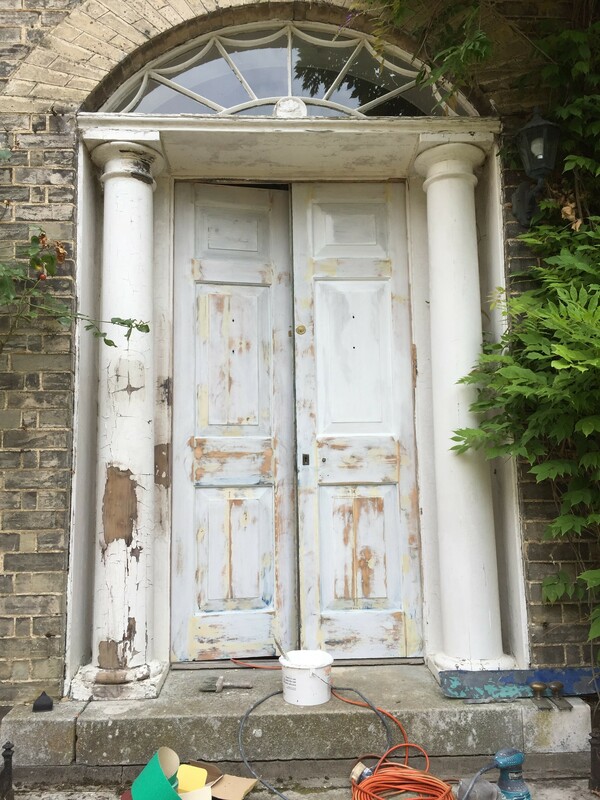 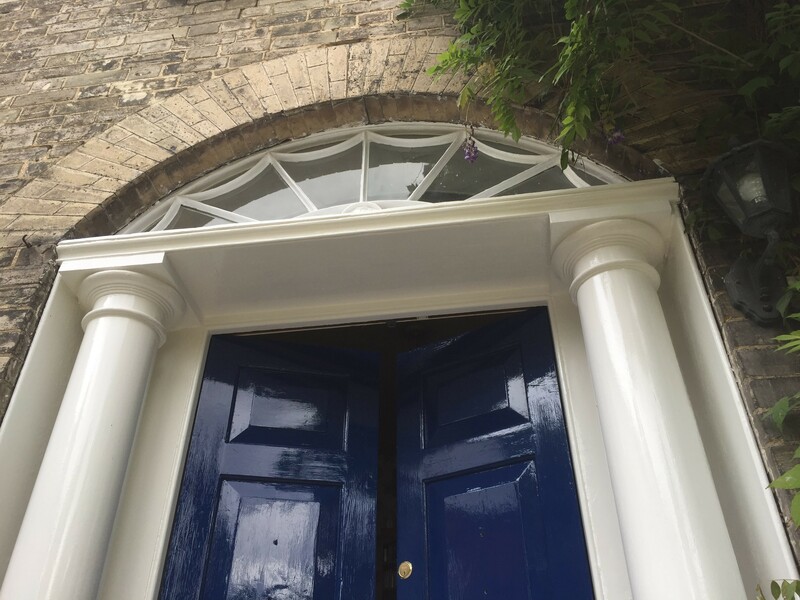 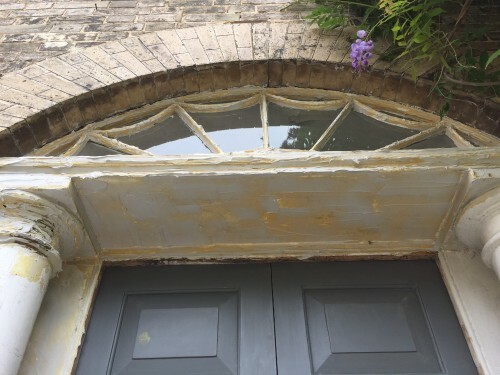 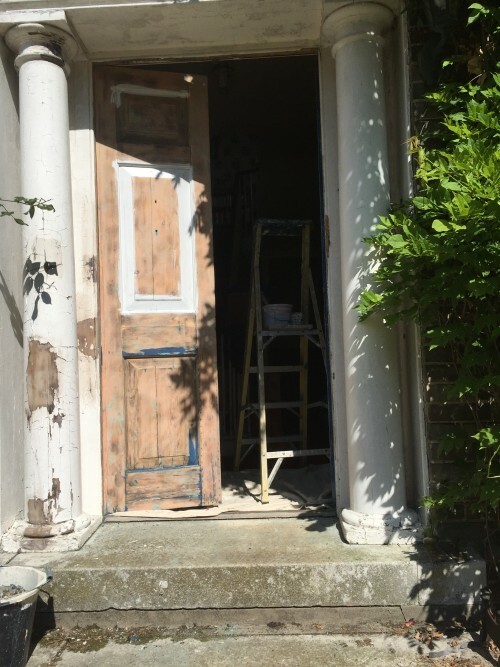 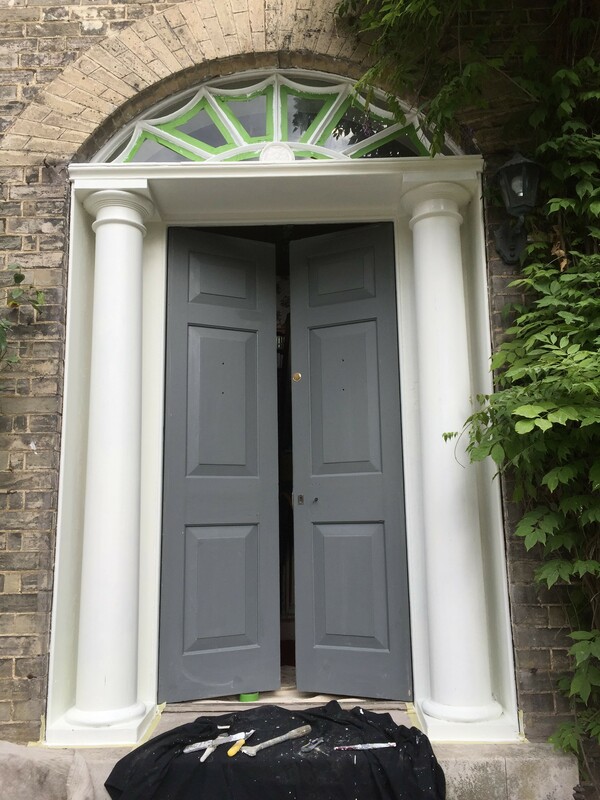 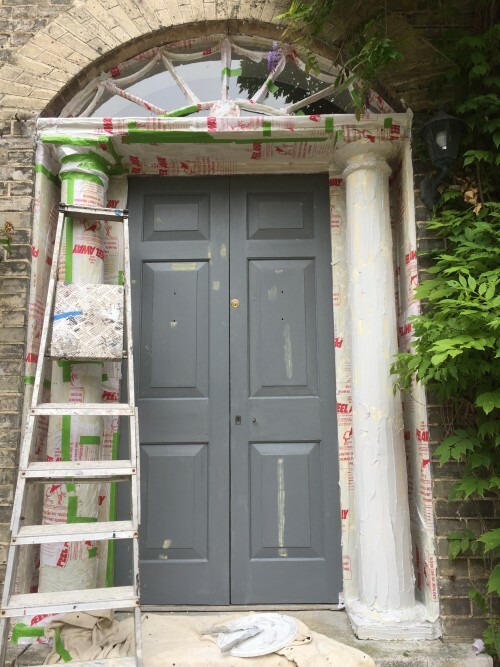 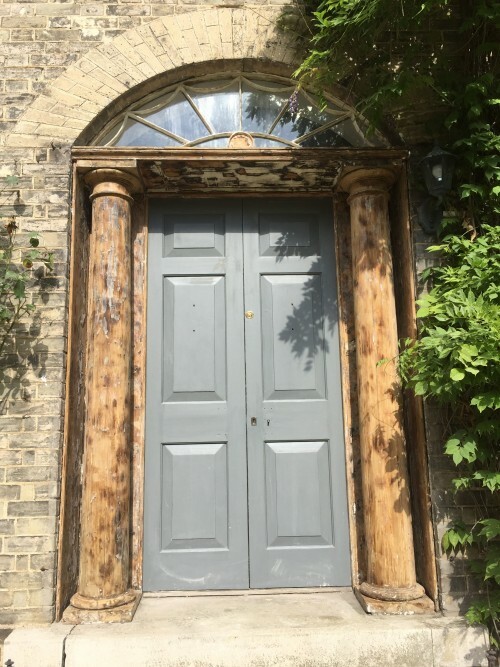 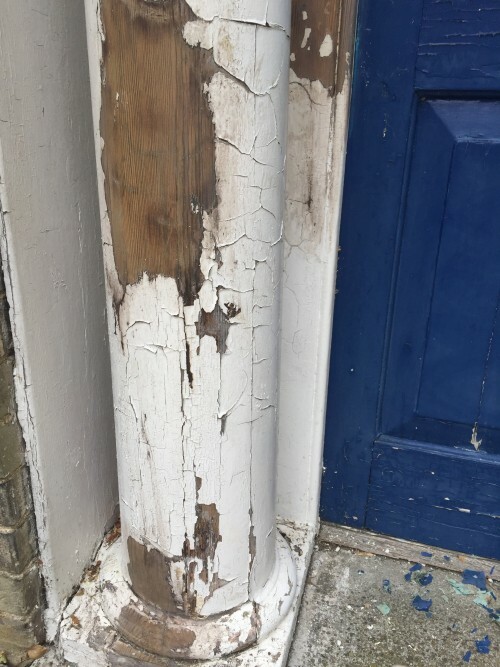 Painting and Entrance Renovation that was completed in 2016, the paint on the woodwork was very old with a build up of many layers over the years which was hiding the features of the mouldings and was also in very poor condition. 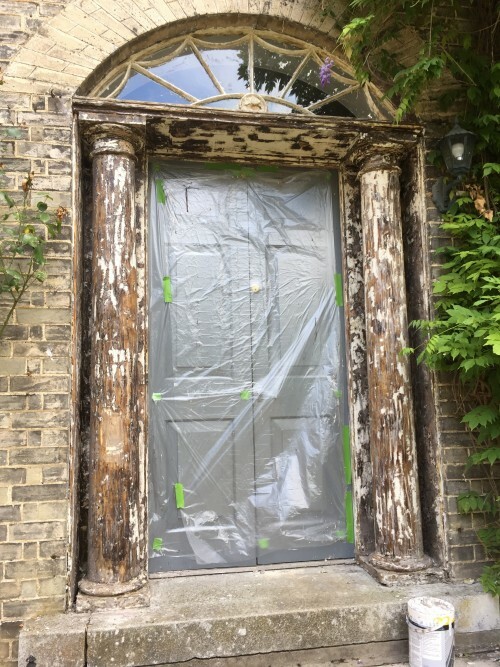 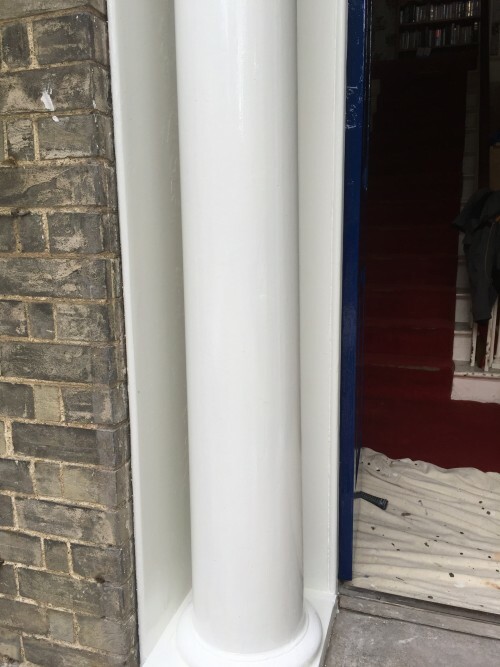 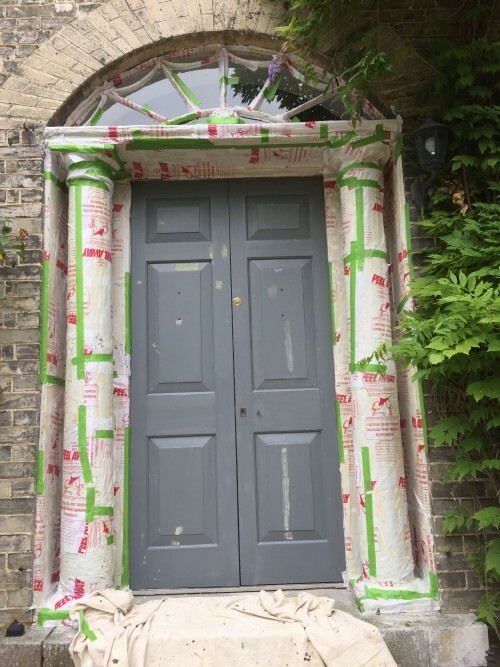 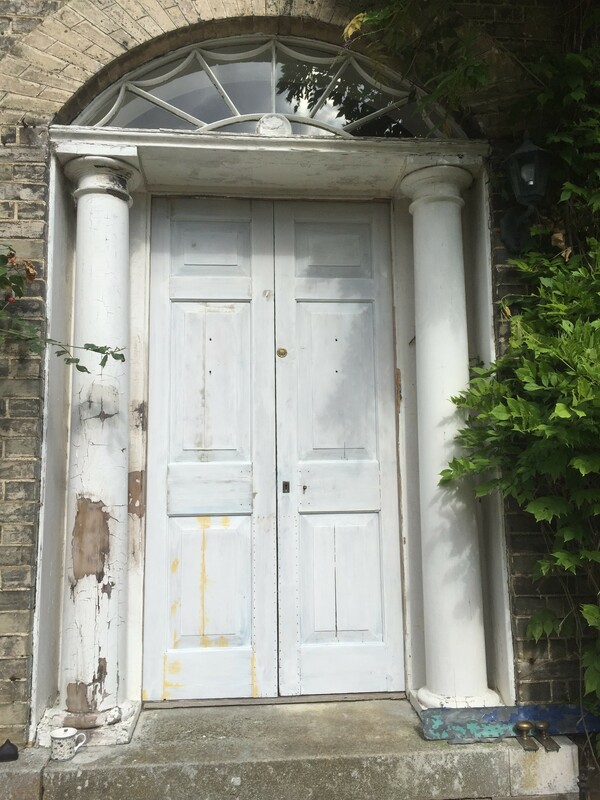 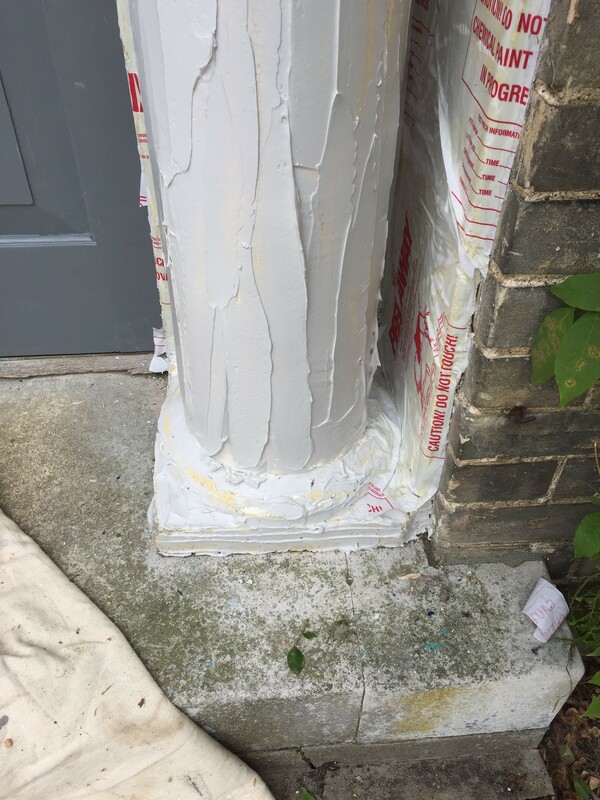 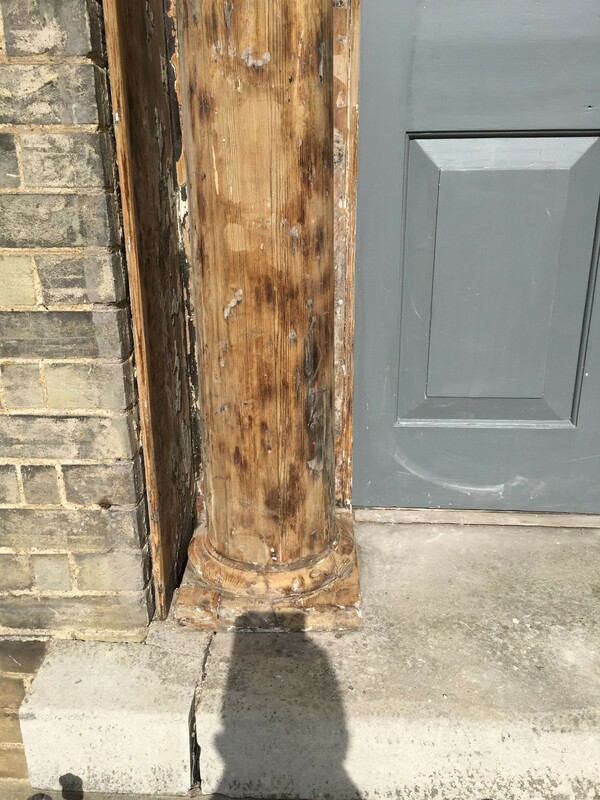 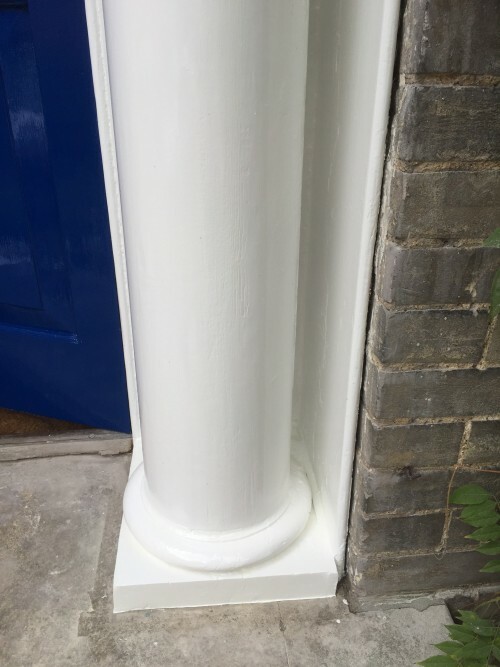 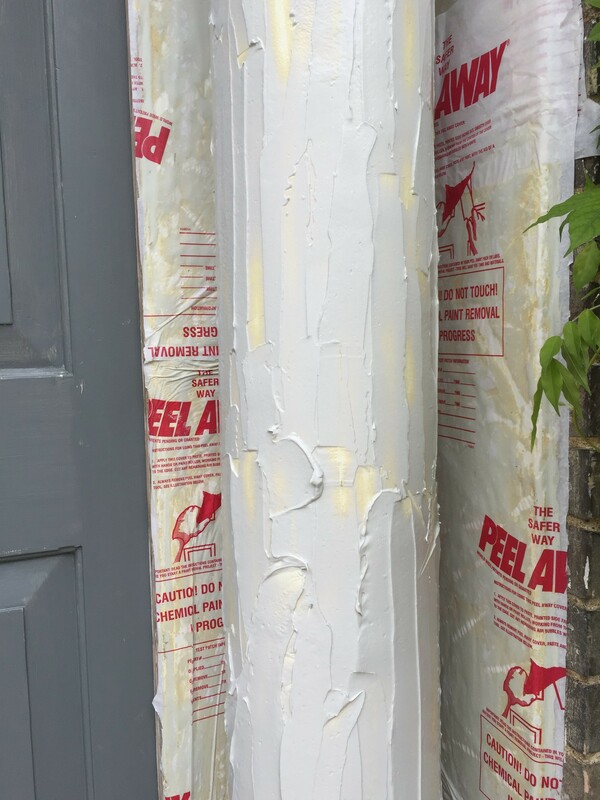 The paint to the Doors was removed using a heat gun and the paint to the Columns and other areas was removed using Peelaway 1 . 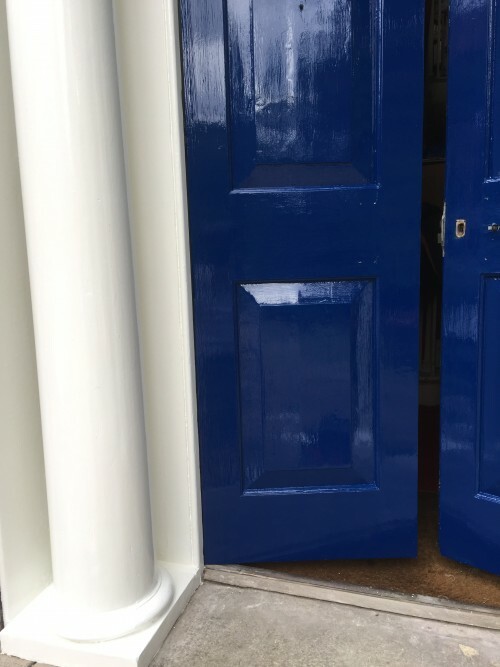 The area was then power washed and a neutraliser applied to the bare wood which was then primed, filled using a 2 pack wood filler, undercoated with an oil based undercoat and finished in oil based gloss. 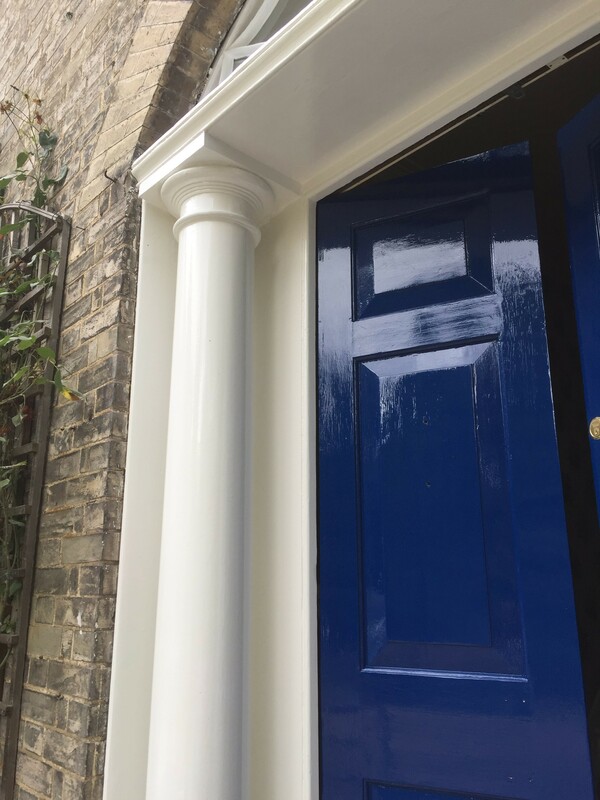 Columns, Window and Surround. Crown Brilliant White Gloss.